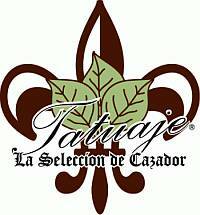 Tatuaje (tah-to-ah-hey) is Spanish for tattoo and is now an old world, full-bodied Cuban-styled cigar made in the U.S. after being created by Pete Pete Johnson. All Tobacco is 1st Generation Cuban Seed Grown in Nicaragua. Cigars are rolled in classic Cuban tradition by Master Rollers in Little Havana Miami, FL U.S.A. under the watchful eyes of Maestro Tobaquero Jose Garcia. All cigars are rolled with a beautiful Cuban triple-cap and are Medium to Full in flavor.